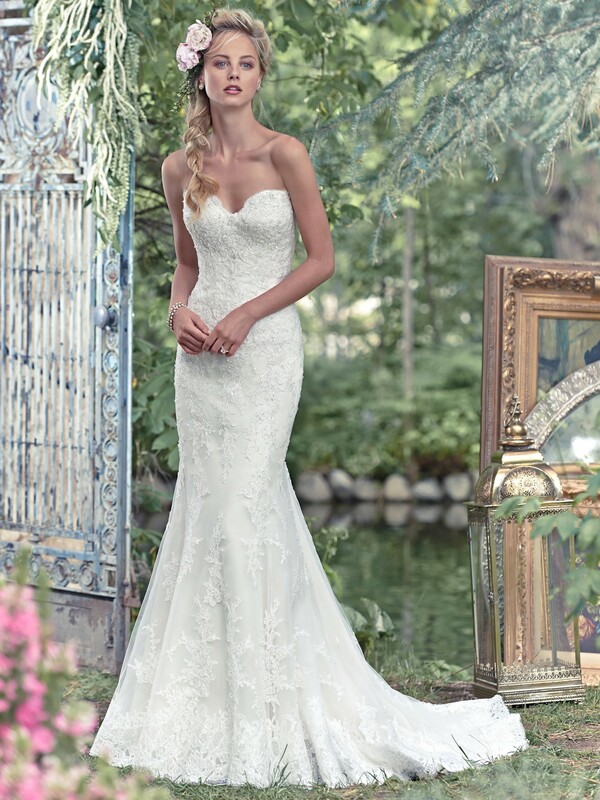 Fit and flare wedding dress, the Rita exudes simple elegance. Swarovski crystals sprinkles this beautiful lace bridal dress. Gown is finished with sweetheart neckline and covered buttons over zipper and inner elastic closure. Detachable cap-sleeves sold separately.